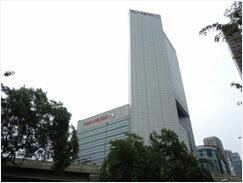 Establishment of Weathernews Singapore Pte. Ltd. Singapore Sales Office Open from September 1st – Weathernews Inc.
Weathernews, Inc. (Head Office: Tokyo, CEO: Chito Kusabiraki) is accelerating its global expansion with the establishment of a sales office in Singapore from September 1st. The new office, Weathernews Singapore Pte, Ltd., will support customers in the global shipping industry from the one of world's major transportation hubs. For global expansion of Transporation Weather services for sea, air, rail and road; Weathernews is going forward by strengthening our global sales and marketing in Asia. Weathernews Singapore Pte, Ltd. is the 14th office to be established abroad by Weathernews, and its location is significant because the needs of the global shipping companies can be met swiftly there at the center of the Asian shipping industry. Starting with the global shipping industry, we will challenge marketing for the entire transportation industry.